The end of the year teacher gifts can be a bit tricky for me. I always give a gift card, but like to do something a little more personal as well. 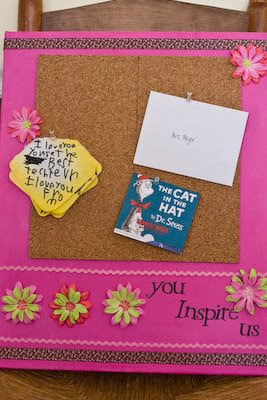 This year I decided to make little bulletin boards/memo boards for the teachers. 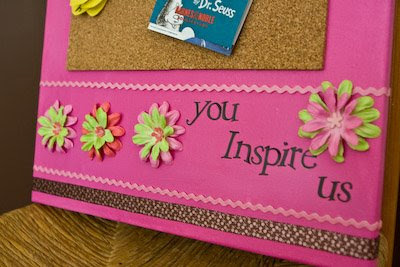 I painted a 16x20 canvas and added ribbon, Prima flowers, some stickers from Creative Imaginations, and cork. Sealed it with an acrylic sealer and voila!